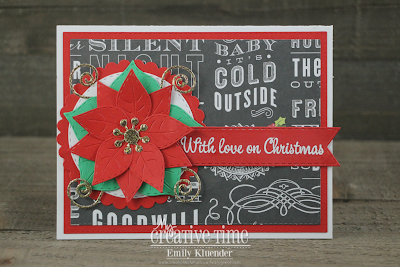 GOOD MORNING my sweet friends & welcome to our 3rd day of sneaky peeks from our 83rd Edition Release!!! Everything that my team & I are sneak peeking this week will be available for purchase starting this Friday, September 21, 2018 at 8am PST! You can see in my video below how I put this together! I hope you ALL enjoyed our 4th & final day of our sneaky peeks! Don't forget to join us back here tomorrow for an AMAZING blog hop just giving you even MORE inspiration using everything we showcased this week! ALSO, everything we showcased this week WILL be available for purchase tomorrow morning September 21 , 2018 at 8am PST HERE. When you shop tomorrow, don't forget to use the code SEP2018 to get 15% off of your entire purchase! Now onto the winner from yesterday's sneak peek! Your project is so fun and happy! It brought a smile the moment I saw it! Love how you created the face with the accents. Adorable! 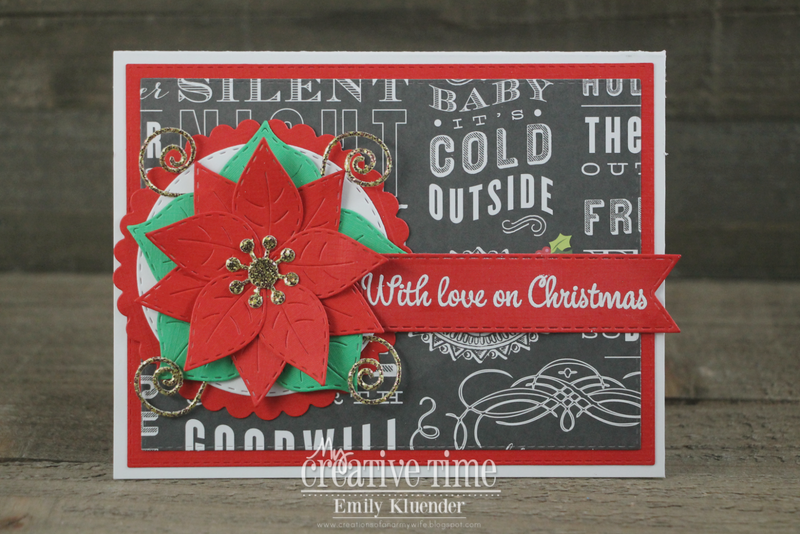 Oh my goodness I just love these dies and the different ways to use it, just loving it. As always loving all of the sneak views. Good Morning Miss Emma...OMG & Oh My My What a Sneaky Peek #4 Your leaves and swirly guys sure are awesome and ... What you shared to adore the Beautiful Napkin rings your Mama made for you sure makes for one Gorgeous...GORGEOUS Look!! 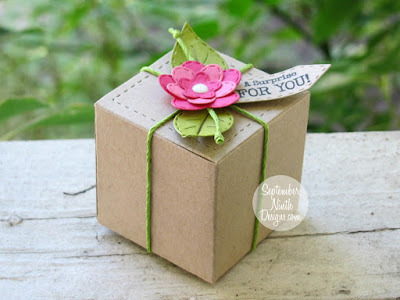 Those Napkin rings sure are Magnificent...That's so cool that your Mama crafts too..and how fun!! 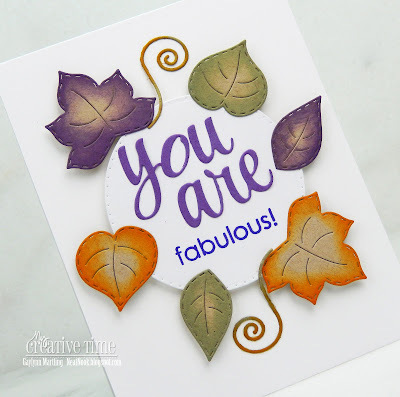 Your new die set is Fabulous and Love how it goes with everything you showcased this week and then some!! You did a Super Incredible Creative job!! Thanks for an Amazing and Funtabulous week and can't wait til tomorrow.....EEEEEK so excited!! You definitely Outdid yourself with this release!!! Wishing you a Tremendously Terrific Day!! YOU so ROCK!! Gorgeous napkin holder, Emma! 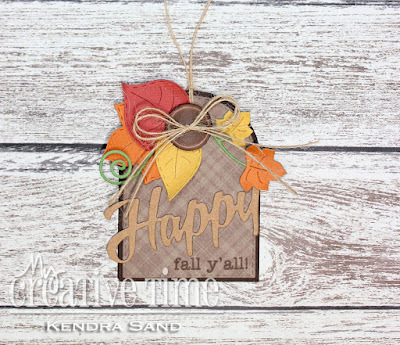 I LOVE these leaf dies!!! Gorgeous die set! Love the Little Stitched Leaves! Lots of possibilities for fall creating! Oh my gosh, your napkin holder is gorgeous and so elegant! How beautiful that would be at your table for the upcoming holidays...my head is spinning with ideas! 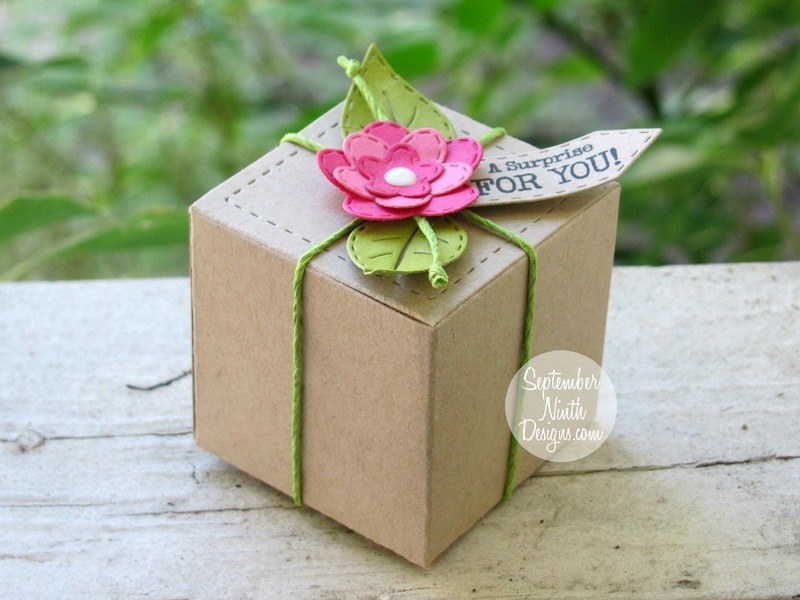 are darling and would work well with the stitched leaves set, too. Talk about a way to brighten a rough morning! First I saw your beautiful napkin holder complete with a sprig of fresh Rosemary! (So awesome!) A beautiful new fall leaves blog bop full of stunning creations. Then I discovered I was yesterday's winner. Hooray! Thank you! 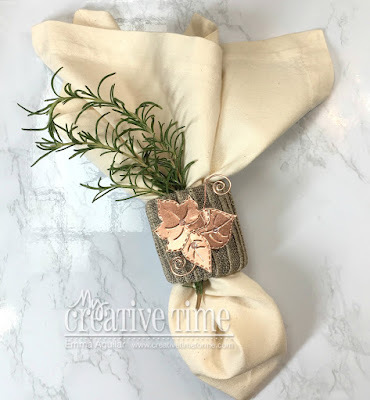 Very pretty napkin rings with these leaves and I like the addition of the rosemary. 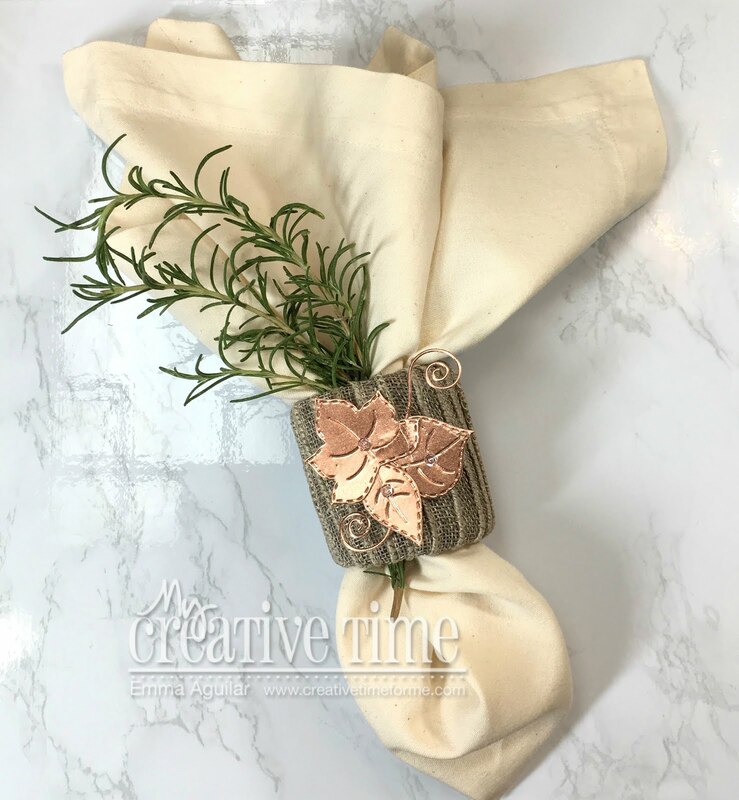 Beautiful job on the napkin rings that your mom wrapped for you! What a pretty decoration the new leaf set makes for them. Lots of ideas from the team also. 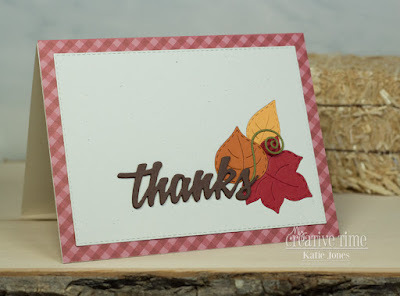 Looking forward to seeing more projects and placing an order ;) What a pretty fall release! 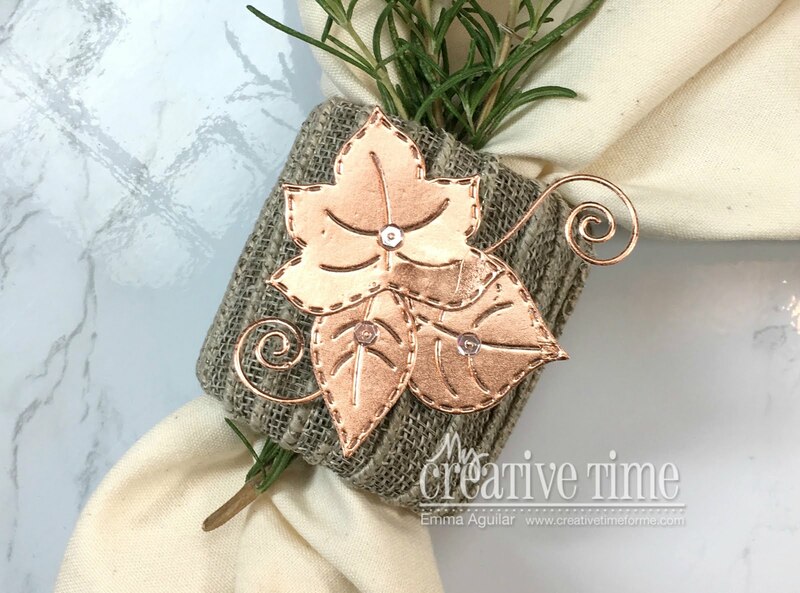 I would love to have these beautiful stitched leave dies in my craft room....I love falls and I can see endless possibilities for these great products, beautiful work with them!!!! This napkin ring is so pretty! Your mom did a great job (and ironed, too)! I really like this die set. Gorgeous napkin ring holder!! The leaves on the metallic paper looks like real copper! Fabulous idea! Absolutely love it and especially love the dies! That is very pretty! Good job! Love this die set! I have a couple other leaves from you and use them all the time! Thank you for such awesome products! While I love this release and will be stalking the postman, I think my favorite is the little stitched heart with the needle and thread. It's awesome and I have plans for it.